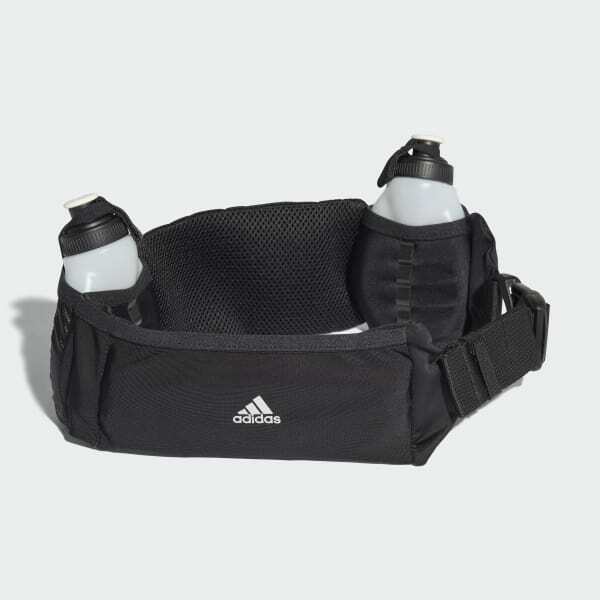 A running belt with hydration pockets. 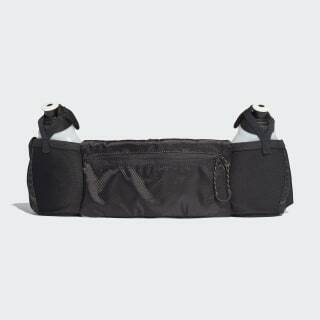 This running belt lets you carry your liquids on long-distance workouts. Built with stretchy elastane for a comfortable fit, it has an anti-slip coating and buckle to keep it secure against your waist when you're pushing hardest. Zip pockets help protect personal items. Two outer pockets carry bottles.